In 1963. 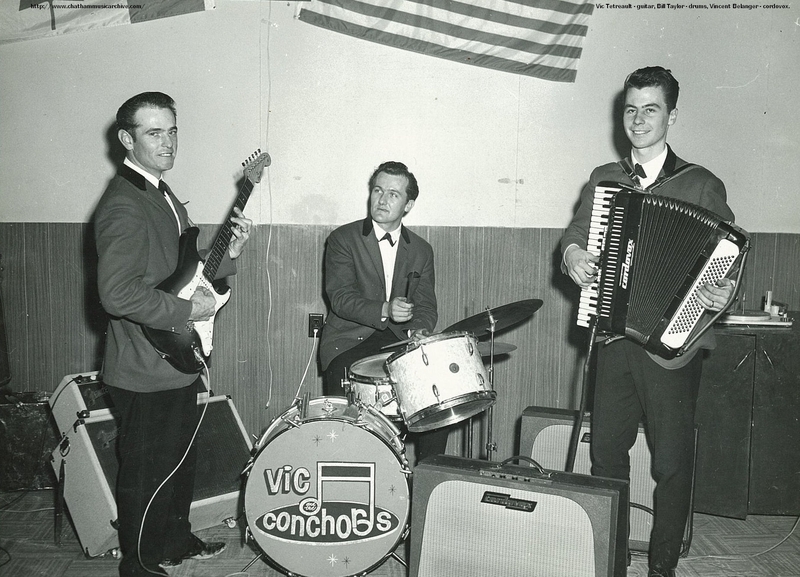 Vic added Mr. Vince Belanger on accordion,(and later Cordovox), and Mr. Bill Taylor (formerly of Ray Francis and the Whippoorwills) on drums, to form an energetic trio known as “Vic and the Conchords”, with Vic’s wife, Betty, on backup vocals and harmony. They were kept very busy in the bars, halls, and at weddings in southern Ontario. The trio remained virtually unchanged for many years until the addition of Mr. Roland Lozon (of the Jubilaires), on guitar and fiddle, in 1974 or 1975 for a couple of years. There were several changes of drummers, including Mr. George Stoner, Mr. Roland Bechard, Mr Billy Carruthers (of Terry Sumsion’s Stagecoach fame), Mr. Tony Meriano (owner of “Tony’s One Stoppe”), and ending with Mr. Leonard Lucier. As both Vic and Vince were in demanding businesses as well, they chose to retire the group in the early 80’s. However, local jamborees still bring them out to do what they love best. The photo was taken around 1964. Thanks to Betty for providing the photo and information. Ray Francis on vocals on side one. John Tengelis on vocals on side two. 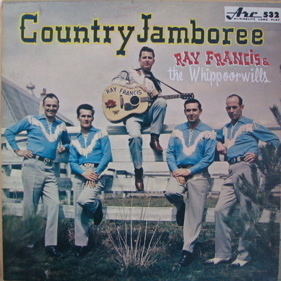 This is the first of two albums Ray Francis and the Whippoorwills recorded. Ray went on to record four solo records also. The Whippoorwills have been together as a unit for five years and for the past three years have been heard regularly on radio station C.F.C.O. in Chatham, Ontario, the group’s home base. The band has toured with Grand Ole Opry, stars such as Ray Price; Johnny Cash; Brenda Lee and many others, both in Canada and the United States. The next goal that Ray Francis and his talented band are aiming for is their own weekly television show, and if talent and showmanship is the key to their goal, they are certain to succeed. 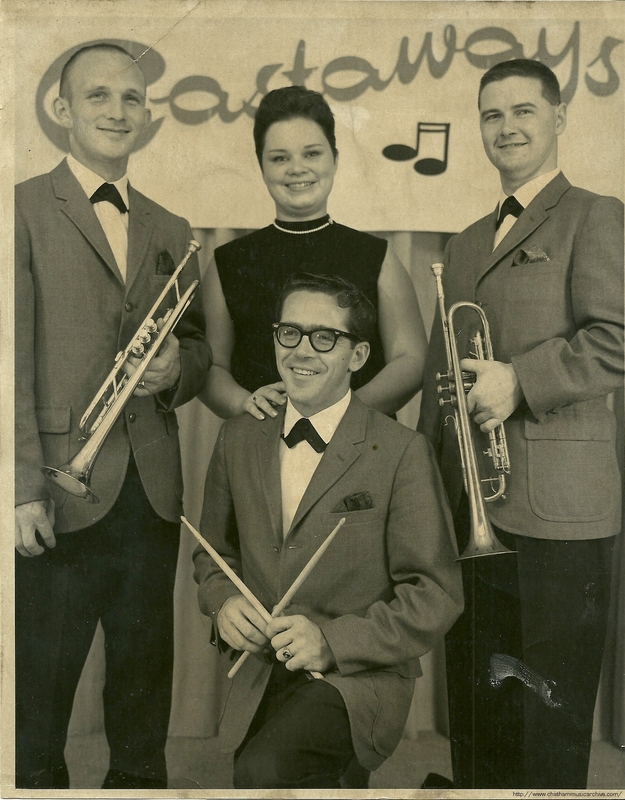 The band started out making $3 a night in the late 1950’s. They went on to do a weekly radio show for CFCO which ran for five years, beginning in 1960. Francis worked hard and persistently to promote the band to people with connections in the industry. 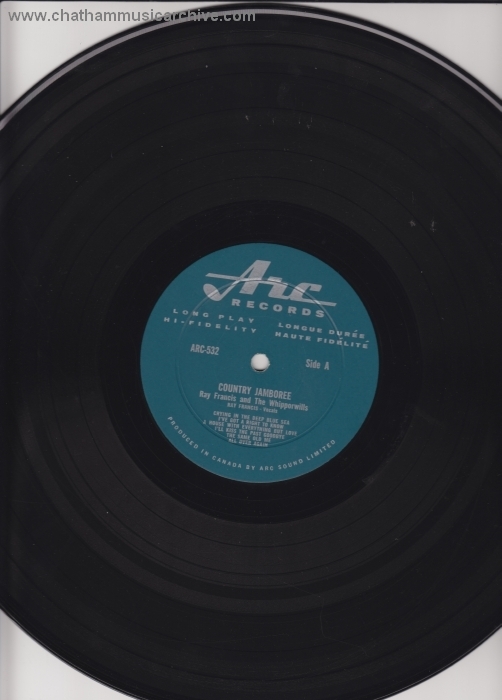 Country star Jim Reeves was quick to help the band when he heard them, stating that they were the best he had heard anywhere in Canada. 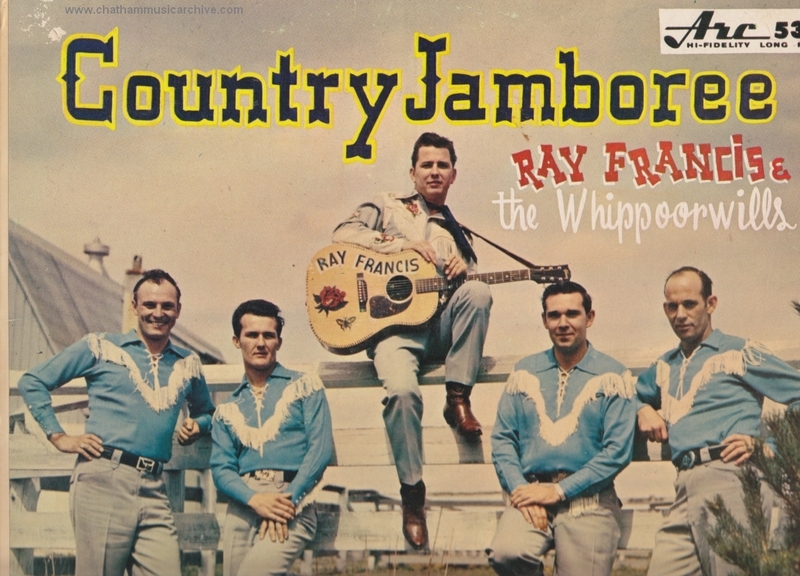 In 1963 they recorded their first LP ‘Country Jamboree’ in Toronto. In those days, recordings were simply the band circled around a single microphone. There were no overdubs or room for error on a take. Musicianship mattered. I found and bought this album one day before going to interview Ray. It turns out Ray had a copy of all his albums except this first one. It was posted online from a Holland Street home in Chatham, so I drove over and bought it and then gave it to Ray. I thought that was pretty cool. He gets a copy of his first album, and I get to meet and learn about a local musician who was a real go-getter and made things happen for his music and love of it. Click to listen to the Preview. If video does not appear, click here.